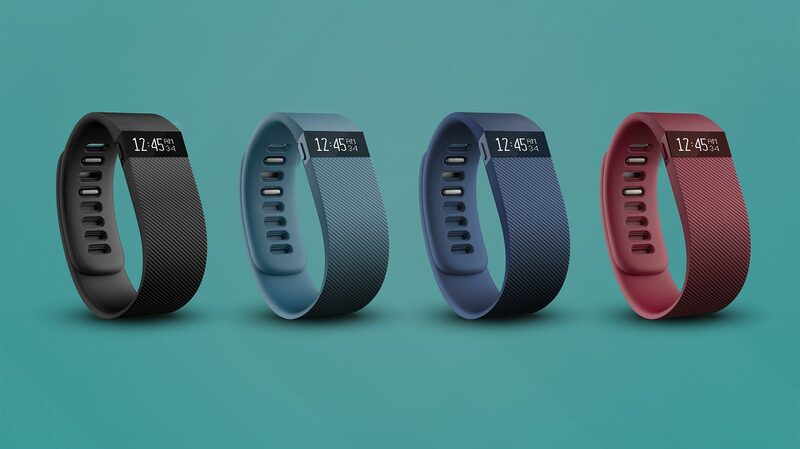 There is something for everyone at Fitbit where fitness trackers meet diversity and practical appeal. Not only are these trackers beautifully designed they also pack several amazing features, all of which are useful; as long as you choose one apt for your everyday fitness goals and progress tracking requirements. There are sleeps as well as heart rate trackers to help you get your daily dose of healthy shut-eye and to monitor your pulse and bpm (beats per minute). Using such data can be quite handy when it comes to understanding how to perform the right activities and if you are doing them right. Tracking Factors Calories burned, steps taken, distance traveled, total active minutes. Two separate parts make up this marvelous tracker, namely the strap and the sensor. The sensor does not have an LED display, hence its small size. However, five small LED lights serve as indicators for the number of steps taken during the day. You activate it by double tapping the device. In addition to being incredibly lightweight, the rubber wristband is also simple in design, relying on plastic ‘grey latch and prongs’ that go into holes in the band. It may not be as comfortable around the wrist as the Jawbone (another prominent activity tracker brand) but it sure does have great functionality and of course brings a good level of comfort. The clear bars ove the LED lights is the bona fide tracker unit. You can view your progress simply by wearing the band; no need to check any other sources. However, you do have the option for it. Its Bluetooth 4.0 wireless synchronizing capabilities allows automatic phone connections and data transfer, keeping your activity metrics up to date so you can check more detailed versions of it on your phone. Its sync partners include Galaxy Note 10.1 (tablet), 3rd and 4th Gen iPad, 5th Gen iPod Touch, and iPad Mini. While this leaves Android users scratching their heads, plans are in the pipeline to extend device choice range for the Fitbit Flex. Aside from outstanding battery life (7-8 days, though the Up could go nine days but then again the Flex gets you wireless connectivity), this Fitbit wonder-tracker also comes with a USB dongle for Mac or PC syncing. It precisely records steps taken and helps you set goals and meet them. The Fitbit app seems to struggle with food tracking (internationally localised cuisines seem to confuse its programming) but with IFTTT compatibility the overall functionality of band and app work well together. Tracks both sleep and general activity patterns. Does not support connectivity to Android devices yet. Display has no information only LED light indicators; need to rely on the app for detailed analyses. 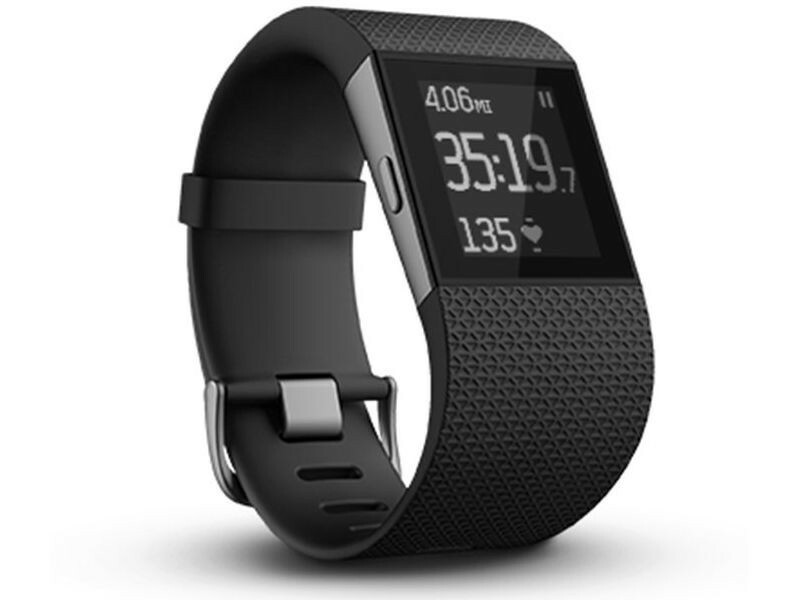 Quite advanced in a lot of regards, the Fitbit Charge is the best activity tracker for performance monitoring, making it a favorite among athletes. The watch-type buckle is far more secure than a clasp. 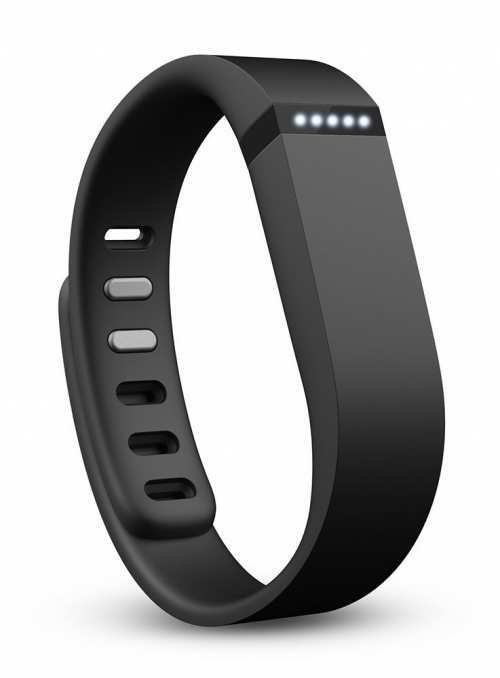 Unlike most other fitness trackers, this one displays real-time stats on the band itself. Its MEMS 3-axis accelerometer tracks motion patterns to report on the number of steps you take. The Charge monitors other factors as well: active minutes, calories burned, and distance traveled. An altimeter tracks the number of stairs or floors you managed to climb, including uphill routes. Every tenth elevation is considered ‘one flight of stairs’. The quality and duration of your sleep is also measured. Detection is automatic based on your movements and heart beat rhythm. A silent vibrating alarm serves as your wake-up call. You can even set the Fitbit Charge to show incoming caller ID notifications; sync it with your mobile to make this happen. It also gets you built-in text notifications and GPS tracking. Using the music controls, you can select and shuffle songs on your iPhone. If you want to see how much you ran the last week, you can configure the MobileRun app to track all your hiking, walking, and running metrics, even the routes you took (this is where the GPS kicks in). For the time being, Fitbit seems to be favoring iOS systems more than Androids. Displays all stats on the band itself. Call notifications are synced automatically between different devices. 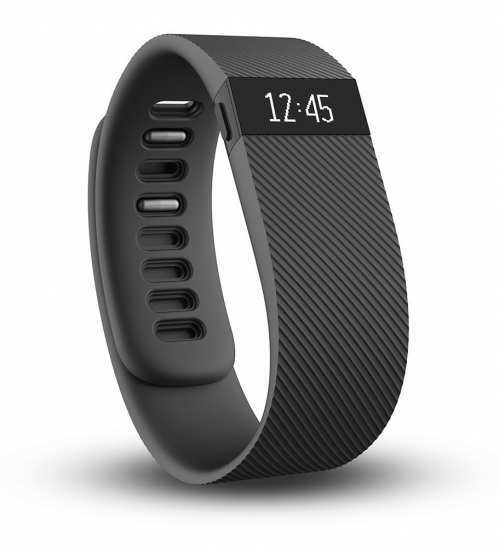 The Fitbit app is desigend aptly but is not as interactive or modern as other apps on other activity tracker brands. Does not track heart rate even though the option could easily have been integrated with all the other capabilities of the Fitbit Charge. An obvious upgrade from the Fitbit Charge let alone most other activity tracker brands on the market, the Fitbit Charge HR is a class apart. The small thin display comes alive at the push of a button and is bright enough to see in daylight as long as you keep it clean. The very design of this tracker enables ease of cleaning. A standard watchstrap design with a belt-buckle like clasp holds it secure on your wrist. The textured design is quite appealing. The heart rate monitor captures data in real time; flip the band over and check out the pulse tracker node that accomplishes this. For all-round health, heart rate tracking is a must and the Charge HR does that along with all other fitness metrics. For instance, if your heart races while bike riding most other trackers do not recognize it as steps and therefore do not factor them into your overall activity; what a loss of data. 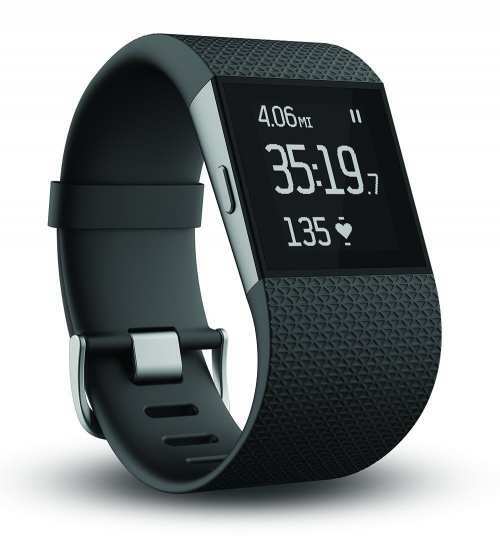 From highly precise step monitoring and keen heart rate monitoring, both factors being off only by a point or few compared to high-end equipment that cannot honestly be carried on a wrist, the Fitbit Charge HR has proven its value for money. Not only is it simple to use it can be paired with iOS as well as Android devices, an appreciable upgrade from bands that can only handle iOS. A wireless USB dongle lets you pair up with your computer instead of a phone. Battery life has proven to run through six whole days. You can cycle through your data at the push of a button. Holding down an apt button begins a stopwatch. You also have sleep tracking, which is fully automatic. This Fitbit beauty also has the best tracker app out there, which is equal parts intuitive, neat, user friendly, and feature-filled. Can connect to Android, iOS, even computers. Integrates with popular workout apps. Displays caller ID notifications but not text message notifications. The underside clasp can at times be uncomfortable. Tracking Factors Workouts, steps taken, calories burned, active minutes, total activity, distance traveled, floors climbed. It takes only 60 seconds to lock onto a signal and then map your activity route via the built-in GPS function. The RunKeeper makes tracking that much easier; the app is compatible with both Android and iOS devices. The built-in heart rate monitor is excellent and highly practical. While it may not be medical-grade precise you still get an accurate reading. It automatically detects sleep rhythms and provides good metrics to help in that regard. The material of the band is comfortable and soft, though it is a bit bulky. This makes it unsuitable for office wear because it does not have a professional look and tends to overly stand out; it does not even fit well under a long-sleeved shirt. The touchscreen is sensitive but manageable. Battery life is high, you get a week’s worth of tracking opportunities before you need to charge the Fitbit Surge again. A highly efficient Fitbit app (one of the few most polished and intuitive on the market) rounds off this model’s features. Fully automatic sleep tracking . Design not suited for office; does not even fit properly under a long-sleeved shirt. More expensive than it needs to be; compared to other brands. Each of the four products reviewed above have diverse uses. All can be used at home while some can be taken with you to work. 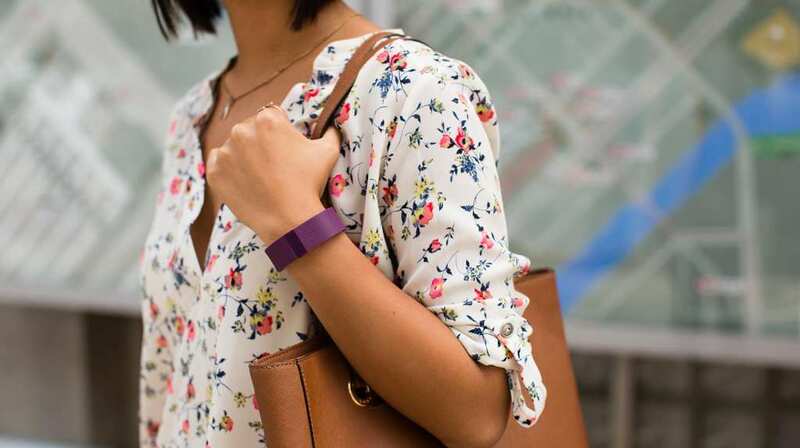 Fitbit is a known trendsetter in the world of activity tracking. While a few downsides remain, they do not rain on the overall parade of Fitbit’s tracker products that bring reputed and outstanding practical value to your fitness goals and desires.